In 1996, Yahoo struck a deal with Softbank to launch Yahoo Japan together, taking a 35% minority stake in the joint venture. Yahoo has no role in running Yahoo Japan whatsoever. But as part of the deal, Yahoo also signed a royalty agreement to collect 3% of Yahoo Japan's gross profit every year. That royalty payment was worth about $90 million last year alone. Until now, most people didn't pay much attention to the Yahoo Japan royalties, believing it's a small part of the business that will eventually go away. But as SunTrust analyst Robert Peckdiscovered last week, the royalty deal will run in perpetuity, even if Yahoo gets sold to another company. Peck characterized the Yahoo Japan royalties as one of Yahoo's "under-appreciated" assets because most investors were not sure what would happen to the deal upon a sale or change in control of the company. But now that people know the royalty deal runs forever, the core value could significantly increase — with Peck estimating the royalty itself to be worth over $1 billion. And while Yahoo is seeking a buyer for its core business, its royalty deal with Yahoo Japan could suddenly play a bigger role that swings the entire value of the bid. "It's one of the biggest questions investors were asking because it’s such a big part of Yahoo's profitability," Peck told Business Insider. "It's critical because of Yahoo Japan's growth and what that cash flow stream could mean for the next 10-plus years." The best part about the Yahoo Japan royalties is that it's almost pure cash and it doesn't cost anything for Yahoo other than providing the rights to use its brand in Japan. There was some technical support involved initially, but that's mostly gone, Peck says. 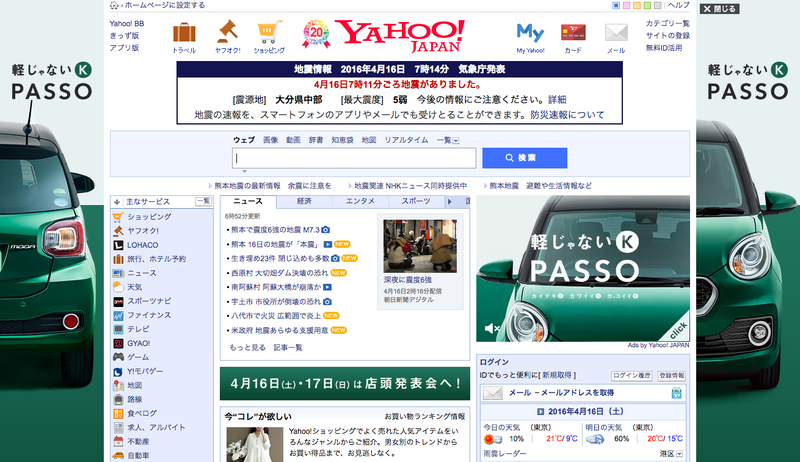 Yahoo Japan's main search engine, for example, now licenses Google's search technology instead. On top of that, Yahoo Japan continues to grow. As its gross profit grows, the royalty payments will only expand. Last year, Yahoo Japan generated $3.5 billion in revenue, up 5% from the previous year, and the same size of revenue Yahoo US expects to hit this year. It also saw an impressive 46% operating margin, marking the 18th straight year of record-high revenue and profit, according to its annual report. It forecast another high single-digit growth across the board for this fiscal year. Part of the growth has to do with Yahoo Japan's ability to keep its focus around its news portal, while providing many additional digital services. Yahoo now has 300 media partners, syndicating over 4,000 articles a day, according to Yahoo Japan's representative. It also provides nearly 100 other online services, including Japan's leading auction and shopping sites, as well as a credit card business that now has 1.8 million card holders. In total, Yahoo Japan gets roughly 100 billion page views a month from both PC and mobile users combined. "Yahoo Japan has several properties that is definitely keeping its own and is central to everybody’s user experience," William Saito, special IT advisor for the Cabinet Office of Japan, told us. "It does have a strong mindshare here." The problem is Softbank, the majority owner of Yahoo Japan, is reportedly upset about this deal and wants out of it. According to Re/code's Kara Swisher, Softbank is saying it's not gaining anything from the deal and the Yahoo brand itself is basically worthless. “Yahoo Japan gets hardly any benefit from the relationship anymore," a person close to the situation told Swisher. There's not much Softbank could do to get out of this deal unless it buys back the 35% stake Yahoo US holds in Yahoo Japan. But SunTrust's Peck noted that the royalty itself could be sold separately, and in that case, Softbank would be first in line to make a bid. "We've heard that Softbank would be interested in the Yahoo Japan shares as well as this royalty right, but I don’t think they’re interested in running Yahoo.com," Peck said. In any case, Peck believes the perpetual royalty clause clarifies what exactly is included in the deal, and could drive up bids for Yahoo's core business. Yahoo has set the first deadline for submitting bids on April 18. Companies and private equity firms like Verizon and TPG are reported to be interested in buying Yahoo's core business, while AT&T, CBS, and Google now look likely to take a pass, according to the New York Times. 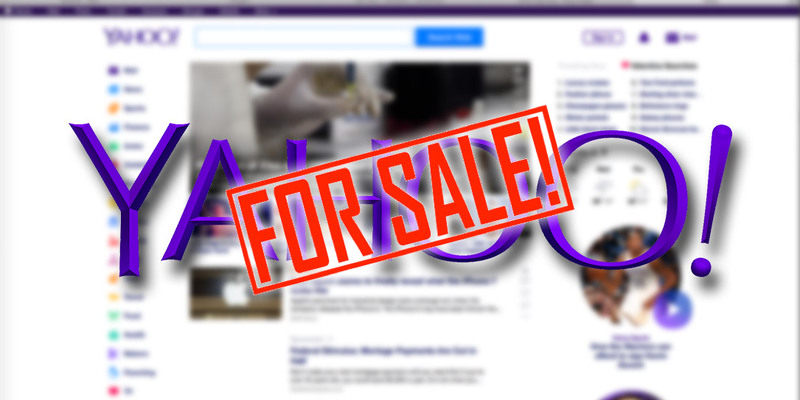 Peck believes the core Yahoo business should command at least $6 billion, but the initial bidswill be lower, as potential buyers will make lowball offers just to pass the first round of the bidding process. Once they get to the next stage, bids could start rising, especially if there's a group of bidders, he said. "Based on the upside potential...we think the ultimate winning bids could come back above our range," Peck wrote in last week's note.